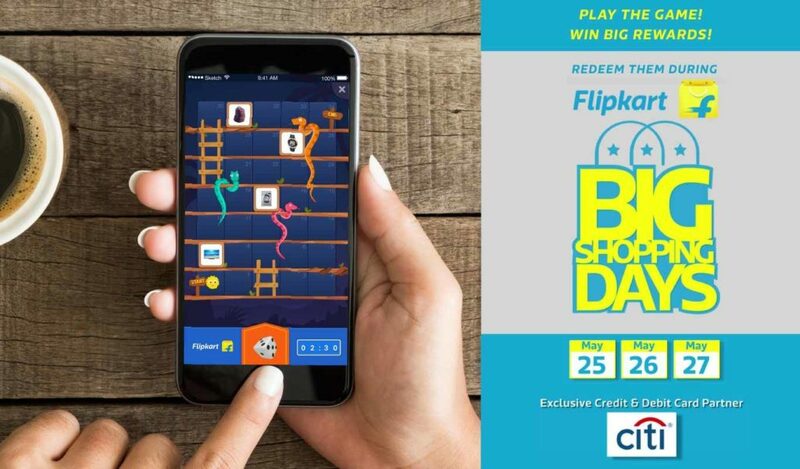 Flipkart’s “Flipkart Big Shopping Days” mega sale commences on May 25 and ends on May 27. 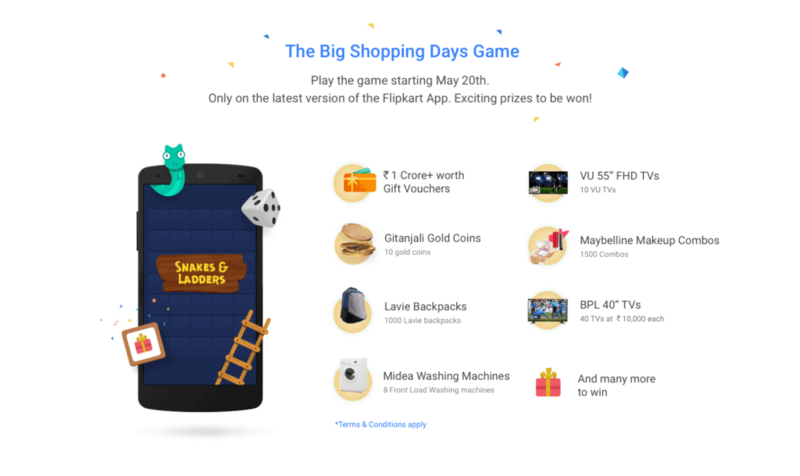 Prior to the sale, Flipkart has rolled out the “ Flipkart Big Shopping days Game ” on the Flipkart app. The game is ready for play on May 20 on its latest version of the Flipkart app. It is nothing but a game of Snakes and Ladders and once you finish the game, you have exciting prizes to be won. How to Play Flipkart Big Shopping days Game i.e. Snakes and Ladders? You can play the game only on Flipkart’s updated version of the app. To play one round of the game, each user needs a life/ chance. Every play is timed and hence when the timer expires, the games ends automatically. The timer starts when the user clicks Play. The timer cannot be paused for any reason like a call, killing the app or connectivity issues. When the user taps the dice, it starts and rolling and the user moves over the tiles on the game board. When the user lands on a reward tile, it can be claimed. The rewards gained by the user during every round of play are retained regardless of completing the game. First party rewards are added to your Flipkart account and can be seen under the “My Rewards” tab. These awards have expiry date and cannot be transferred to others.